Similar to this thread on the RO1 forum, I will be using this space to keep you all up to date on what's currently happening on RE:START. This includes, but is not limited to: current events that are running, community happenings, game updates, frequently asked questions, and more. The original post will be updated as updates appear. If you have any questions regarding anything on this thread, please feel free to message me about it. 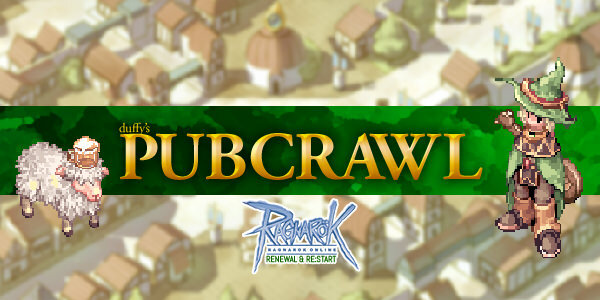 St. Patricks Day Event, Duffy's Pub Crawl, is live! Rally on RE:START livestream with CM Astra and JelloShaker every Thursday at 3:00PM PDT! Next stream: Thursday, March 22, 3PM PST: Amazon Gangstress stream! Joke and Tell Contest is live in the Creative Contraptions forum! All are welcome to join! What are you doing about the bot situation? Currently, we have a team of GMs who work around the clock banning in-game bots and spammers. If you know an area that is particularly populated with bots, you may report them in a ticket to our GM Team, or in the bot report thread. Help! Someone named "CM Oda"/"CM Astra" is messaging me about becoming a GM/giving them money/inviting me to a special group! What do I do?! This is a scam! Please take a screenshot of your conversation and report it immediately to the GM Team via ticket or message it directly to me. We have not and will never "hire" people from in game like that, nor will we ask you to give us money through Paypal or other such website. I can't log into my account, what happened? The best thing to do is to write a ticket to the GM Team. An account may be locked down for several reasons, including but not limited to suspension for suspicious activity, locking down to prevent an illegal item from moving, locking down in response to a potential hack situation, etc. It's taking a while for the GMs to respond to me. What gives? The GM Team is sometimes backed up with tickets that could take a long time to investigate and respond to. If you wish, the VMods or myself can poke the GM Team about it, especially if it's been a few days since the last response. Just PM myself or any of the active VMods with your ticket number and we'll be happy to assist you.